As ballot papers are today sent to Labour members in the party's leadership election, PRWeek looks at the teams behind the two rival campaigns and their key messages in the run-up to the announcement of results on 24 September. Incumbent Jeremy Corbyn, who was elected leader last autumn, has shadow chancellor John McDonnell as his campaign chair, while John Lansman is managing the campaign as campaign director. Lansman is chair of Momentum, the campaign group established off the back of Corbyn's 2015 leadership election campaign, and is the editor of the blog Left Futures. The campaign's director of comms, political strategy and campaigns is Sam Tarry, who is on a sabbatical from his role as national political officer for the travel and transport union TSSA. Tarry told PRWeek he was joined by James Schneider – who has been criticised for previously supporting others parties – as head of rebuttal, James Mills as head press officer, Sian James as head of broadcast and forward planning, Samira Raj as head of digital and Jack Bond as head of social media. As Seumas Milne, the former Guardian journalist who is now director of strategy and comms for the party, is paid by public money, he is not permitted to be involved in the campaign, Tarry said. The challenger's campaign is chaired by the MP Kate Green who, like Smith, entered parliament in 2010. The campaign director is John Lehal, who has taken a sabbatical from the agency ICG, while the comms director is Will Tanner, who recently left Finsbury after 15 years with the agency, latterly as head of public affairs. Smith's spokesperson is his political adviser James Bevan. Also in the campaign's press office manager and deputy spokesperson is Sam Bacon, who previously worked with Smith supporter Chris Bryant MP, and on the Labour In campaign before the EU Referendum. "Our main focus has been around the economy – we want an investment-led economy because that is the only way to get the economy back on track in a way that works for ordinary people," Tarry told PRWeek. He also said that the campaign wanted to emphasise to the party the digital campaigning techniques it was using, saying he found the party's lack of digital savvy "frustrating", pointing to the Conservatives' massive outspending of Labour on Facebook in the 2015 General Election. "We are piloting things that we want the Labour Party to adopt," he said, including an app that allows campaigners to undertake telephone canvassing in any location, rather than having to be based in a phone bank. The campaign is also protesting the fact that some new members of the party will not be able to cast a vote in the election, with an email sent this weekend telling the story of Christine, with the subject line: "They stopped me voting for Jeremy. Now I need you to vote for both of us." Asked by PRWeek for the key messages of Smith's campaign, his team sent three links: Owen's top 20 policies, Owen sets out campaign and Why members are supporting Owen. Those policies include scrapping the Department for Work and Pensions and replacing it with a Ministry for Labour and a Department for Social Security, banning zero hour contracts and reversing cuts to corporate and income tax. Smith's team will also be emphasising a message that he has the ability to effectively lead the party, and that he has concrete policies, the suggestion being that Corbyn is more focused on rhetoric than policy. Having won the support of the union GMB earlier this month, it has been seen as a victory for Smith that London mayor Sadiq Khan has backed his leadership challenge. Former Labour MP Andy Sawford, managing partner of Connect Communications, said: "Both camps acknowledge that there are still many undecided voters and Owen Smith will hope to swing them his way with the endorsement from Mayor Khan – the politician who has scored the biggest election win for Labour in over a decade. "Sadiq Khan doesn't pull his punches in his remarks about Corbyn, particularly his lacklustre performance during the EU referendum. I'm not surprised to see this being highlighted as the majority of Labour members do not share Corbyn's ambivalence to EU membership." However, former Blair-era Downing Street adviser Chris Rumfitt, now the founder of Field Consulting, said he did not see this as being such a pivotal moment. "I suspect it will only make a marginal difference, so committed are the Corbynistas to his cause. Those who believe a Labour leader's priority is to win already back Smith," he said. 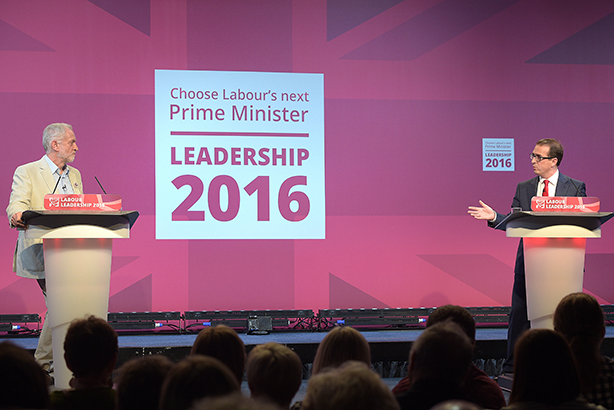 Labour Conference: which agencies are out in force, and what's the mood music at kick-off?